Immigration law is primarily governed by a federal statute known as the Immigration and Naturalization Act, 8 U.S.C. Sections 1101-1775. Although we have linked to an electronic version of the Act above, you should consider researching these federal statutes in print. 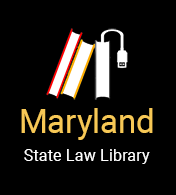 All Maryland law libraries and many Maryland public libraries (see SAILOR, Maryland's Online Public Information Network sponsored by Maryland public libraries) carry one of the commercial print versions of the United States Code: the United States Code Annotated or the United States Code Service. You should do your federal statute research in one of these unofficial print versions of the Code, because they are both more up-to-date than the official Code. Also the print versions include case summaries interpreting each statute. Free web versions of the U.S.C. do not provide case summaries and may not be completely up-to-date. These statutes authorize U.S. Citizenship and Immigration Services (USCIS) and the Department of State to make legally binding regulations and implementing the purposes of the statutes. Regulations made by the BCIS can be found in Title 8 of the Code of Federal Regulations. Those made by the State Department, which deal primarily with foreign diplomats in the United States, can be found in Title 22 of the C.F.R. In addition to regulations, the USCIS and other federal agencies (including the U.S. Customs and Immigration Enforcement and the Executive Office of Immigration Review) issue other documents to help with the interpretation of immigration laws. These include Operation Instructions, Interpretations, Administrative Decisions, and decisions from the Board of Immigration Appeals. Operation Instructions (OIs) and Interpretations supplement and clarify the provisions of the statute and regulations. They are not included in the regulations because they deal generally with procedural matters. The OIs do not usually deal directly with application and benefit requirements. Administrative Decisions are opinions issued by local and regional USCIS offices when a decision is made on individual immigration applications. These decisions also provide clues as to how the USCIS is likely to rule on similar applications in the future, but are not binding. The Board of Immigration Appeals (BIA) issues appellate administrative decisions that are binding on USCIS offices responsible for enforcing immigration laws. BIA Decisions are binding on all USCIS officers and Immigration Judges unless they are modified or overruled by the Attorney General or a federal court. The USCIS and its sister agencies have also published several handbooks on various aspects of immigration law. Annotated versions of the court rules applicable to all federal courts are available in the United States Code Annotated and the United States Code Service. Both are available at many Maryland libraries. Each specific federal court has local rules that supplement these general rules. Links to the local rules of federal courts with jurisdiction in Maryland appear below. United States Citizenship and Immigration Services requires the use of its own forms for most purposes. Forms can be downloaded from the USCIS "Forms and Fees" page. There are several ways to begin researching immigration case law. One way is to find the statutes that apply to your situation in the United States Code Annotated or the United States Code Service, then look at the case summaries following them. You can find additional cases by reading books explaining immigration law and noting the cases they cite. Another method of finding cases is to search the Federal Practice Digest, a subject index to federal case law. The Federal Practice Digest arranges case summaries by legal issue using the "topic and key number" system. Once you know the topic and key number combination for your issue, look up that topic and key number in the Digest and you will find a list of case summaries for your issue. Each summary includes a citation to the full text of a case. This section developed by Sara Kelley, Librarian, Georgetown University Law Library, updated by State Law Library staff.